I enjoy making pop up books with my students. One of the first ones I ever created is the freebie Paul Bunyan pop up book and hyperbole lesson. 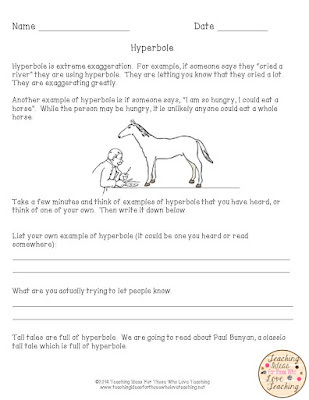 The lesson focuses on hyperbole while teaching students about Paul Bunyan. 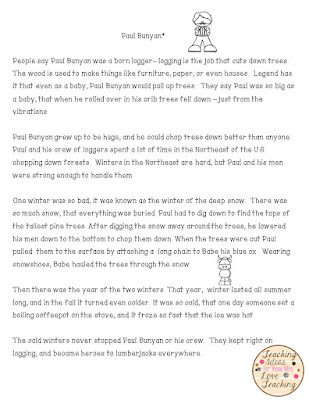 This lesson covers a classic American folk tale, while exploring figurative language. The best part, is at the end of the lessons, students have a great art activity where they create their own pop up books. 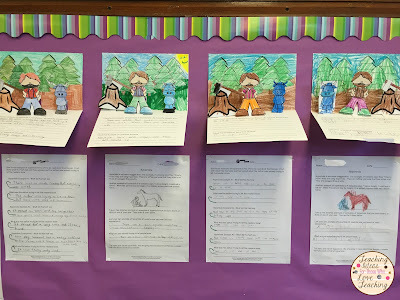 I usually buy card stock for the art portion, and keep it on hand for other pop up books, and projects my students will create throughout the year. It's free, and I hope that you enjoy teaching it as much as I do.